Strokes are one of the most common medical conditions to occur in our country. The complexity of the human brain means that each person can be affected differently with lifelong consequences, which can improve with effective neurorehabilitation. The symptoms of different illnesses can require various treatments, but generally speaking each case requires similar treatment. 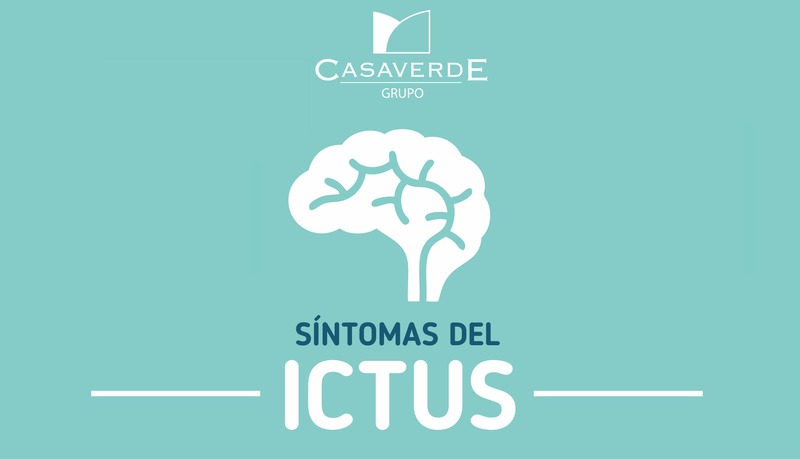 Strokes, or cerebrovascular accidents as they are also known, can affect different parts of the brain producing different symptoms and therefore require specific treatment personalised for each patient as is done in the Casaverde Hospitals. In most cases, strokes cause a sudden loss of strength (paralysis) on one side of the body, causing paralysis of half of the face and of the arm and leg on the same side. Depending on the severity, they can cause a loss of control in half of the body or a single limb. In some cases, they can also affect both sides of the body at the same time (tetraplegia), and in the worst circumstances they can also cause respiratory problems and a loss of consciousness. Headache (cephalea) can also be one of the symptoms of strokes both in intense or moderate forms but this is not typical. One of the most frequent symptoms of strokes is a change in vision, affecting either one or both eyes, either due to a loss of field of vision or because of double vision, tunnel vision, etc. These symptoms can appear in isolation but are usually accompanied by the previously mentioned symptoms. Aphasia is a language disorder. Those suffering from aphasia may have problems speaking, understanding, reading and writing. This can involve mixing up syllables, confusing words or speaking using incomprehensible language. Also, at times words and phrases are said correctly but simple things are not understood. This inability to articulate words is known as dysarthria. Nowadays, identifying a stroke is simple when you know the usual symptoms mentioned above. Those suffering any of these symptoms must immediately go to a doctor to be evaluated and treated. Following an incident such as a stroke, in the majority of cases rehabilitation will be necessary to alleviate symptoms. Early detection of a stroke and starting rehabilitation immediately are key to the recuperation of a patient. At Casaverde professionals work to give the highest importance to early and intensive attention so that rehabilitation is at its optimum, with a multidisciplinary team that will provide personalised attention. Although treatment is very effective, the best way to avoid a stroke is prevention which will always have a better outcome. The prevention of strokes can be helped through avoiding stress, doing sport, following a balanced diet, sleeping the required amount of time, not consuming alcohol, having an appropriate weight, exercising the brain through learning or reading and knowing the information that is mentioned above so that, in the case of having any symptom, a stroke can be detected and promptly treated.